My older brother was recently diagnosed with Type 2 diabetes and decided to share his news with our family over the holidays. The parents didn’t take it too well, especially our mom. While my brother tried to keep things positive by sounding optimistic, the reality is that diabetes is a serious condition. I’m worried he won’t take it sincerely enough to change his diet and lifestyle, which is a mix of unhealthy eating habits and excessive drinking. I was planning to confront him about it before he returned to Chicago for his last semester in college but couldn’t muster the courage. I’d like the conversation to be productive rather than hostile, but I’m unsure where to even begin. I’m not the most eloquent when it comes to expressing emotionally-charged thoughts. How should I approach him without sending the wrong vibe? Unfortunately, situations like these rarely have guaranteed outcomes. Permanent medical conditions can be difficult to accept and often more difficult overcome. The most important thing to remember before educating yourself on the nature of the condition is to start with empathy. While your brother’s actual diagnosis might have been more recent, that doesn’t mean he hasn’t been struggling with the condition without sharing it for an extended period. The nature of Type 2 diabetes and its later onset due to personal lifestyle choices can sometimes induce guilt in patients. You’ll want to avoid that if at all possible. Experts at the CDC estimate that 30.3 million Americans (9–10%) suffer from diabetes and another 84.1 million (~30%) have prediabetes. These rates have been observed steadily increasing for decades. More troubling is the rising prevalence of diabetes in children, which has NIH researchers struggling to find answers. In other words, your brother is now a part of a what some professionals are calling a growing international epidemic. Having been diagnosed formally, he likely knows this already, but he may still find it challenging to adapt his lifestyle. Having you as a concerned advocate will probably mean a lot and help energize his efforts. First, familiarize yourself with the basics of diabetes and then its complexities. Having a firm grasp of both types of conditions and how they differ will ensure your thoughts are sensitive to his unique circumstances. Many aren’t sufficiently educated about this difference and mistakenly assume similarities across symptoms and treatments, which is highly inaccurate. Give yourself a real chance to explore the topic beyond a cursory readthrough. You’ll want to be well-equipped by the time your eventual discussion rolls around. Much has been written about living and coping with diabetes. Be certain to understand exactly what patients endure, what physicians expect them to do, and what they expect of themselves. 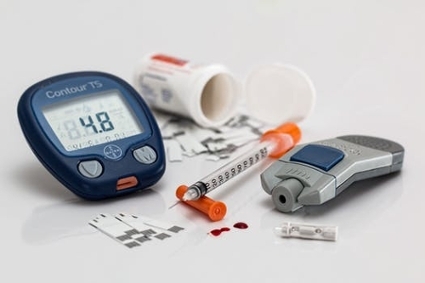 Researchers in the field have published promising studies that shed light on how diabetic patients might overcome or at least neutralize their conditions. Newer clinical reports suggest that scientists are inching closer to a breakthrough cure and others already claim to have successfully reserved diabetes in Type 2 patients using a new technique. There’s reasonable agreement in the medical sphere that diabetes is almost always reversible in patients using a combination of proven approaches. Your brother might, for example, entertain the idea of Ketosis, which isn’t a new method per se yet helps remedy diabetic patients all the same. You can investigate how to reverse diabetes using the approach or search for YouTube explainer videos on the matter. Last but not least, don’t feel pressured to confront him alone when your parents are almost certainly as concerned about his health and wellbeing.